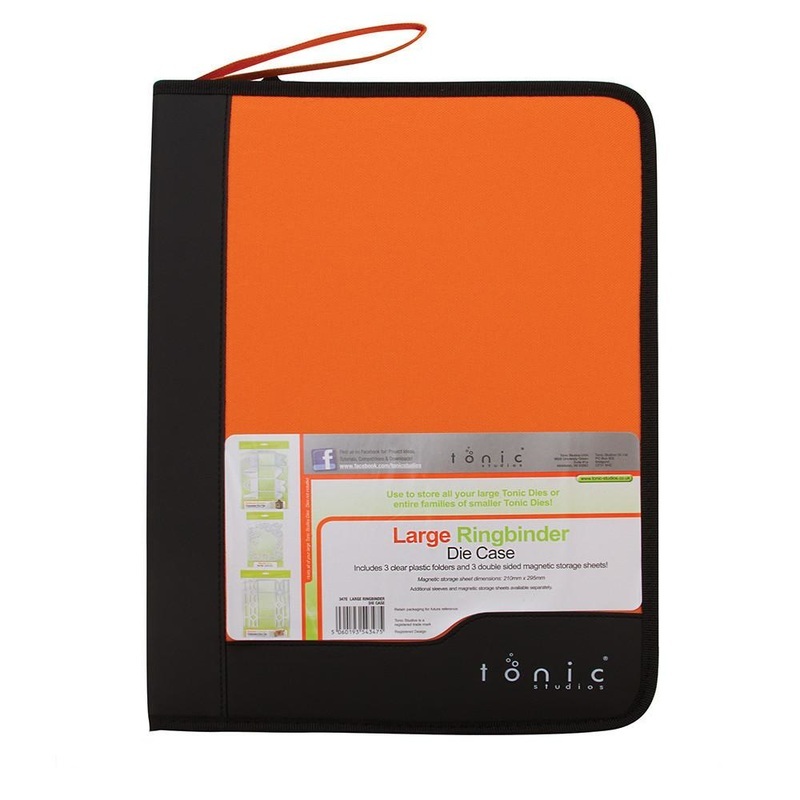 Tonic Studios large ringbinder A4 Die Case with 3 clear inserts and double sided magnets. Keep all of your favourite dies safe and in one place, perfectly organised. With convenient side spine and paper insert to title your die collection. Additional inserts available.